Due to unforeseeable circumstances, I will not be attending the International Book Fair this week in Bucharest, Romania. I had so looked forward to the opportunity to talk with you about your beautiful country. I further regret being unable to share with you some of the rich history of the Southern United States; reflections of growing up here in Alabama, coupled with excerpts from WE SHARE THE SAME SKY. What I can do, however, is post an abbreviated version of what I’d intended to share. I’ve not included the self-introduction. The lecture is rather long, so there is the necessity of posting it in segments. And, rather than moving through the text and rewriting what I’d highlighted in the chapters, I will instead post the entire chapter. I will miss meeting you all. 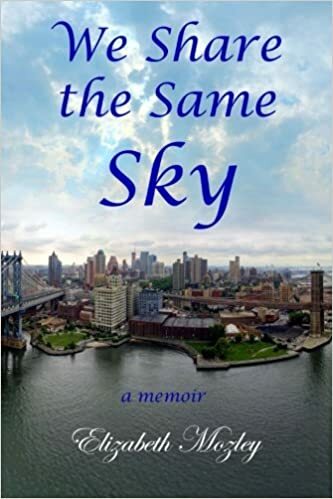 I began writing WE SHARE THE SAME SKY following my return from a summer trip I took alone to Manhattan the summer I turned forty. I was contemplating a major change in my life and knew that the time away would give me the space I needed to think and see things more clearly. With children in the house, money spent toward a trip for myself –rather than a family vacation- filled me with guilt. So, I needed a second reason, one that might alleviate what felt like self-indulgence. I decided to write about my week in the city and include the history of the boroughs and enclaves of Manhattan, the cultural beauty of the place, the ever-changing neighborhoods that continue to foster a sense of belonging for our immigrants. While I expected to get caught up in the magic that is New York City, I didn’t expect my mind to constantly jump back to the South. Throughout these days of wandering, images of home and memories of my childhood kept pressing in on me, as if demanding recognition. You see, I was missing family; I was missing place. There simply is no getting away from who you are or where you are from. Place retains its significance to the human spirit because we tie to it the emotions of our memories. Being Southern means having a relationship with the land, a relationship with nature. Being away, immersed in that immense, fascinating city, I could more easily reflect on the past, the people and events that made me who I am. The week in Manhattan actually helped me reconnect. I’ve heard it said that as children, we are closer to our true selves, that we know our passions. I think this is true. It is only later when we are busy being adults that we slip up and forget. Awakening, I move about in a stupor and realize that the bed is unfamiliar. The pillow is unfamiliar. The sounds coming from outside my window –all are unfamiliar. Slowly remembrance sinks in and settles like freshly poured concrete. I am snuggled safely within the city I adore! In the subdivision in Rainbow City where I live, there is a small farm down the street that sits so charmingly out of place. Grandfathered in when our neighborhood was developed, the old farmhouse and tiny field remain. Every morning I am graced with the sounds of the family’s rooster trilling and the donkey baying for his morning meal. Here, the glare through the window forces me awake. And yet, thanks to the sound ordinance, rarely does one hear the frustrated, incessant blaring of aggressive horns. I have over-slept and awakened with the capricious nature of an unruly child. Pulling aside the curtain, I take a peek outside, mouth a quiet thank you to Him. Late last night, I listed everything I want to cram into my day. Far and wide, my desires are spread from Upper West Side through Midtown and Upper East Side. Locating my list on the map, I realize that I will be all over the place. But really, who cares? It is not as if I am following a dreaded agenda. Flip of a coin, shake of the Magic 8 Ball; perhaps I have been going about my decision making all wrong. So, sensibility will not dictate my path, at least not today! The driver drops me intact at The Morningside Heights Greenmarket located at 116th Street and Broadway. While planning, I discovered that the market is sponsored by Columbia University and Barnard College. Amazed by the selection of fresh produce in the city, I find myself constantly comparing it to what we have back home. Surprisingly, it seems there are many more open markets available here. Quickly, I purchase a pint of the plumpest blueberries and wish for some fresh yogurt. The apples are gorgeous. There is one variety that looks similar to those my grandmother Libby called horse apples. Although the skin of these apples is not the prettiest, they always have a good tart taste that makes them perfect for apple pie and apple butter. Looking over the boxes before me, I think back on my fifth grade year when before morning announcements or even the pledge was completed, I was hauled into the Principal’s office to stand before Dr. Leftwich. My grandmother always reminded me to pause before answering and so I did. I knew that the man who owned the place had seen me a couple of afternoons as he sat out on his back porch. The tree I had chosen the day before was close enough that I had noticed he was drinking tea and cracking pecans as he read The Gadsden Times. I also knew that he didn’t mind or he would have said something. I even hoped that he liked me, although I never saw him smile. Yes, he liked me and he appreciated the fact that I enjoyed his trees, his apples. After all, he had dropped the paper to below eye level and watched as I gathered them in my shirt and climbed back over his fence. The following day –because she did not paddle me or even call my father –I left a rosy store-bought apple on her desk. I didn’t think a note was necessary. What is it about picking your own produce that makes the taste more intense? My children swear that the apples they pick from our trees to bake each morning are better than those from the store and I believe them. Apples purchased from the grocer sit prettily in the glass dish on our dining room table almost forgotten. It is as if they are there for the eye rather than the palate. Each year, the children and I look forward to visiting an orchard. For years, we picked our own from an elderly gentleman’s backyard in Riverside. Posted near the bushel baskets was a sign listing the cost, and sitting below on a porch step was an old rusted coffee can where you deposited your money. Some of the trees that grew along the back row of his orchard seemed to be as old as the man himself. Laden with a full load, the sagging limbs were propped up with felled hardwood. When the old man passed away the property was sold, his bountiful trees cut, the land leveled and landscaped. The children and I mourned, then set out in search of another orchard. We headed north. I had found a listing for a large family-owned orchard in North, Alabama. After a long morning drive, we arrived to find the place boarded up. Disappointed we turned back, but decided the return trip should be a different route, in the hope of coming across something of interest along the way. What we found was a North Alabama Indian mound. The gate, drawn shut and locked, held a sign posted no trespassing, but the children and I pretended not to see. We quickly parked the car and walked to the mound by way of a neighboring cotton field, full and white. Catching sight of the mound, Anderson and Isaac stopped at once. I walked to where they stood, looking on with awe at the vision that lay before us. A prehistoric Native American relic of the Mississippian culture, it was an amazing thing to see, just sitting there modestly in a field of lolling green pasture, surrounded by a pearlescent ocean of cotton and the distant emerald foliage of hardwood trees. In silence we climbed the mound, stood and gazed across the land. With unspoken reverence, we turned and descended quietly, then walked back through the high cotton to where we had parked. Several miles down the road, we happened upon a very small family owned orchard. Although we didn’t get to pick the apples ourselves, no one seemed to care. We bought several bushels and an antique apple peeler to make our work easier. That evening, we set about slicing and filling the dehydrator racks sprinkling each layer with cinnamon; the remaining apples we baked and then topped with homemade vanilla ice cream. Memories of time spent with my children bring only happiness. I say a quiet thank you. Because of them, I have much to be grateful for. Isaac’s cotton seeds are still in the backseat compartment of my car! When this thought comes, I cannot help but laugh outright. I continue to pick up an apple from each selection, admire its uniqueness and fresh smell. I think of a quote from Walden, of Thoreau and his reflections on the farm he almost bought but didn’t. He laments, “I have frequently seen a poet withdraw, having enjoyed the most valuable part of a farm, while the crusty farmer supposed that he had got a few wild apples only.” Now this I under-stand. But, when he admonishes “…As long as possible live free and uncommitted. It makes but little difference whether you are com-mitted to a farm or the country jail.” I am want to disagree. To own and work a piece of land is to take pride in something that becomes an extension of self; a sense of accomplishment fills the soul of the weary possessor at days end. Moving around the selections, I watch and listen to the interactions between the farmers and the locals and wish that I was staying somewhere that would allow me to purchase what I really want so that I might cook a meal early in the evening. Within arms reach are the most delectable Roma tomatoes I’ve ever seen accompanied by a beautiful purplish heirloom. I wish I could gather them up, take them back to the room, slice them, dehydrate them and pack them in oil or buy a couple of crisp ones still good and green, to fry. There is also pineapple, freshly cut. If only I had several slices of a good homemade white bread and some mayonnaise. Is it only Southerners who eat pineapple sandwiches and hot tomato biscuits? Recognizing true hunger, my stomach rumbles at the thought. The idea of dinner alone makes me miss being at home, cooking and dining with the children. They would be thrilled with this marketplace. We often shop the farmer’s market in Birmingham. Not so much for the fresh produce –even though the offerings are amazing with over 200 farmers participating- but for all the other phenomenal vendors. Isaac’s favorite is a table of sliced cakes, presented by The Bakery at Cullinard. Anderson heads immediately for the croissants and chocolate sauce offered at another stand. Shelves of homemade preserves, jellies and jams call to me. In our area, the weekend flee markets are where most folks shop for serious produce purchases. These are located closer to Gadsden, our hometown. We frequent Collinsville on Saturdays and Mountain Top on Sundays. Visiting a trade day in the South requires rising early. The best vendors arrive and begin setting up around 4:30 a.m. then pack up around noon. Collinsville Market is located in a small rural town of the same name. It is surrounded by beautiful green sprawling hills of farmland and the distant ridge of the lower Cumberland Plateau. Prettiest in the lambent light of the early hours, the view competes with the winsome sounds of farm animals. The smell of sausage biscuits and fresh coffee drift far and wide. Regional pride has led to many a foolish notion. Admittedly, I always believed that Southerners held a closer relationship to the land and therefore held the prime pickings when it came to pro-duce. Looking about, I acknowledge that I’ve been proven wrong on both counts. Before walking away, I watch a small family load their purchases into four worn arm baskets; supple, they easily bend and allow the carrying of much weight. What is it they will cook for dinner tonight? What are their traditions, and is this trip to the market one of them? I think on our family’s beloved catfish Sundays. Grandpa farmed and fished all week. GrandMosie began cooking early that morning while we attended our various churches. Gathering at their house after services, we children fought over the fried fish with the longest crisp tails. We gnawed them down to the nub before beginning on the flesh, filled our plates repeatedly, then lazed away the afternoon waiting for stomach pains to pass. It was a happy gathering. What a shame that in today’s haste, many have let the tradition of Sunday supper with extended family all but slip away. Breathing deeply and enjoying the early morning air, I decide to move on. It occurs to me that all of this walking, where the wander-ings of body and thoughts meld, has helped clear my mind. Physical exertion, be it callisthenic or aerobic, alleviates depression and anxi-ety. Wandering is much like pacing in that it requires constant yet thoughtless movement; while the body moves about as if by its own accord, the mind is free. For me, this is proving therapeutic and provides time to reflect on the important things, to examine what exactly it is that has brought me here, not just to this city, but to this juncture in my life. Perhaps with realization, healing and creativity can begin again. It is not that I have become blind to the limit-less joy God places in the smallest of things, rather I have become distracted by circumstance. Time to wander, to think, to remember and reflect –without these we lose something fundamental and vital to self. Days that ran long and knew untold endin’s. Hewn by hard work and time. This entry was posted in Alabama, authors, books, community, cooking, family, Farming, history, Nature, New York City, poetry, road trip, Romania, Southern Culture, travel, Writing and tagged Alabama, books, culture, family, Morningside Heights, New York City, nostalgia, poetry, road trip, Southern culture, travel by Elizabeth Mozley. Bookmark the permalink.